Deron Jackson is the Chief Technical Officer of OMRON Adept Technologies, located in San Ramon near California's Silicon Valley. He holds a doctorate from MIT, and is a co-inventor of six U.S. patents as well as the co-author of sixteen research papers in international journals and conferences. In 1998, he joined Adept Technology (now OMRON Adept Technologies) and has been with the company ever since. The distributed control technology that he developed has proven to be a major differentiator of OMRON's fixed robots, which beat competing industrial robots at speed as well as energy, cost, and space efficiency. Adept Technology was founded in 1983 - the dawn of industrial robotics. As the pioneer in industrial robotics for over three decades, the company specializes in an array of robotics products that are used in industrial assembly, packaging, and material transportation systems. Deron started building his first robot when he was in 6th grade. It was made out of things he could find around the house - a wooden box, salad bowl and loose parts from an Erector Set. He had grown up "tearing apart anything I set my hands on," and so by age 13 he had a good sense of how things worked. His handmade contraption named My Robot "looked like a poor man's R2D2." However, it was able to do some pretty cool things that the movie character gizmo could not in real life. My Robot was hooked up to an Atari 800 - one of the first home computers - and Deron could adjust the arm positions and open/close its wood and metal claws. Control and sensing used the computer's joystick port and feedback potentiometers. It even had a "vision system" that he could use to generate images by measuring light intensity using a photodiode mounted to a servo controlled solar reflector. Naturally, he chose to pursue engineering in college. After four years as an undergraduate student in electrical engineering, Deron was accepted into the Massachusetts Institute of Technology (MIT) in 1992 where he joined the Laboratory for Electromagnetic and Electronic Systems (LEES). 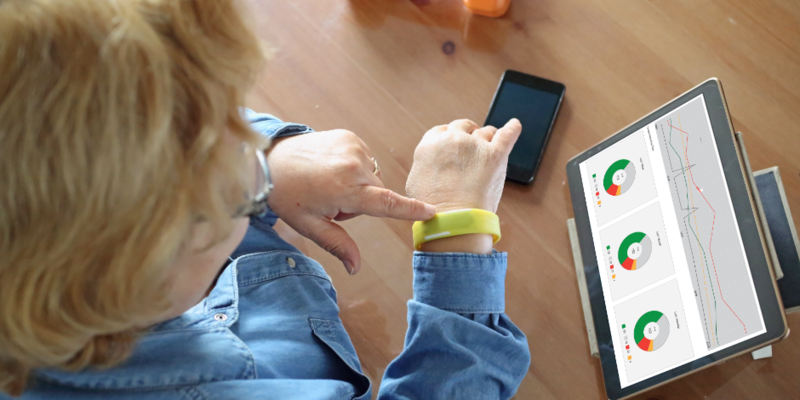 He "wanted to develop technology that has a purpose and see it put to use." So he decided to pursue his passion in industry and did not remain in academia. R&D in Robotics is an interdisciplinary field where there are four core building blocks - electrical engineering, mechanical engineering, control systems, and software. The big distinction from other tech products is not only the wide range of technologies involved in developing a robot but that a deep level of integration between these disciplines is essential in being successful. It is the collaboration between the diverse groups of talent that is the key to innovation in robotics. And this is the challenge that Deron had always been looking for. He explains. 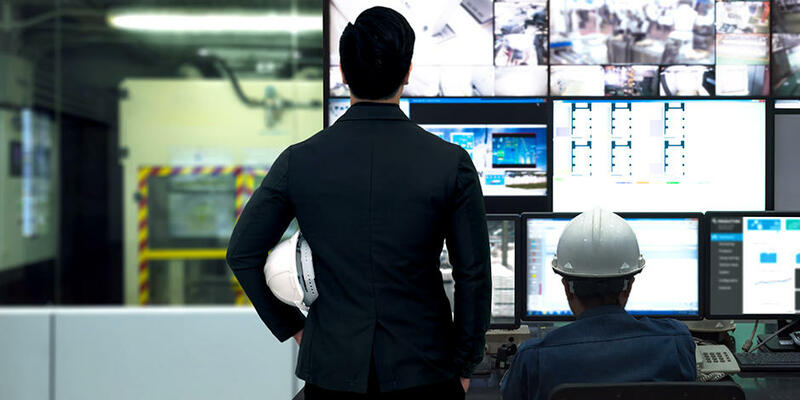 "OMRON has a long history as a leader in factory automation with input, logic, output, and safety products. 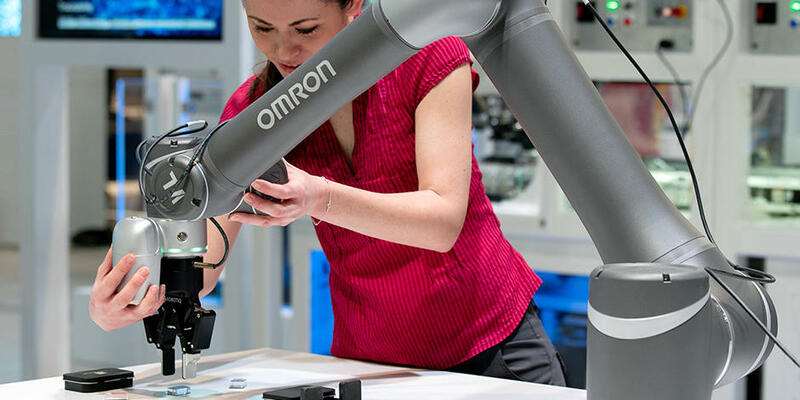 We can excel in the robotics field by seamlessly linking robots with OMRON's broad and ever expanding portfolio of over 200,000 automation products in order to provide the best total solution to our customers. There is no other company that has this kind of breadth in product portfolio. " Deron continues. "OMRON's focus on Sensing & Control + THINK is accelerating AI technology to incorporate human-like intelligence into automation. OMRON's autonomous mobile robots are a prime example. Our mobile robots work safely with people by sensing the environment and can automatically and intelligently navigate through a factory." Initially as the Senior Electrical Engineer, Deron worked on the distributed control technology that enabled the separation of the "brain" of the robot from the servo amps which power the motors. While leading the development of OMRON's mobile robots he envisioned these robots allowing people to focus more on skill-based work. Starting with technology that was used in academia and labs, his team improved its durability for industrial use in factories and automated inventory systems. OMRON's mobile robots are now becoming the industry standard worldwide. In the next ten years, Deron predicts that the biggest change we will see in the field of robotics is that "a higher level control and AI (THINK) will allow configuration of common automation systems to be simpler, even automatic." This will speed up the deployment of automation and make it possible to automate tedious tasks that could not be automated before. The result aligns with the philosophy of OMRON's founder Kazuma Tateisi. "To the machine, the work of the machine, to man the thrill of further creation" of whose words resonate with Deron. This change "can't be delivered by a single new technology." "It will be an entire new layer of technology that will evolve through the fusion of various sensing and control component technologies." Industrial robots still have plenty of room to evolve. The robots will need visual and tactile senses in addition to a brain and nervous system to be able to replicate how humans hold things and adjust the grip strength depending on the visual information. For example, advances in integrated 3D sensing technology will bring in new levels of intelligence to object recognition and grasping robotics in future assembly systems. Further, people will be able to collaborate more closely with robots with the integration of 3D safety sensors that will allow robots to detect the position and movement of people, thus avoiding collision. So, how do we elegantly integrate everything in a seamless and useful way so that our technology can help our customers and society? This is the challenge that keeps Deron busy. This spring, OMRON Adept will be opening a new R&D center in the San Francisco Bay Area. This technology center will focus talented engineers from all over the world on OMRON's next cutting-edge developments and accelerate innovation that goes beyond industrial production. This is just the beginning of Deron's ambitious dream - the automation of previously manual processes to enhance human creativity. And so for now, his "My Robot," still unfinished and sitting in his parent's barn, will have to wait.